Hockee = Coffee? Game Six! Usually this time of year at Tazza D’Oro we are licking our chops at the start of the Tour de France. But tonight it’s about the Penguins and game 6. We will be watching the game at Tazza D’Oro staring at 8 pm with some Troeg’s Brother Microbrews and several pizzas. Stop in. The licking of our Tour de France Chops will begin in short order. 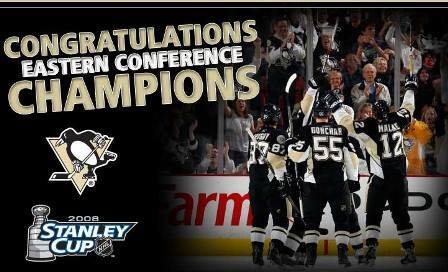 GO PENS!